Students, 45-2008-8. Group of teen boys and girls, formally dressed, with corsages. Possibly a confirmation photo. Taken by Zarling Studio, Baraboo. Bowling Ladies, 45-2008-1. 4 ladies. “Wisconsin State 1995 WWBA Championship Tournament, Fond Du Lac.” Taken at Poor Nates bar. Capener, Mike, 45-2008-4. Ca. 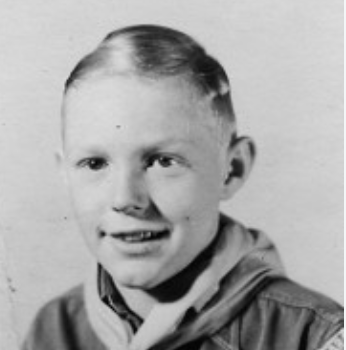 1950, in Boy scout uniform. Ladies, 45-2008-7. Taken at Heirloom Tintypes, in Wis Dells. 9-4-1981. Lady, 45-2008-6. Unknown. Taken in front of Baraboo Tent & Awning on 2nd St.
Herritz, Eddie, 45-2008-2. “Uncle Eddie Herritz, taken in World War 1 across the ocean. Capener, Mike, 45-2008-3. Ca. 1950. In Boy Scout uniform.